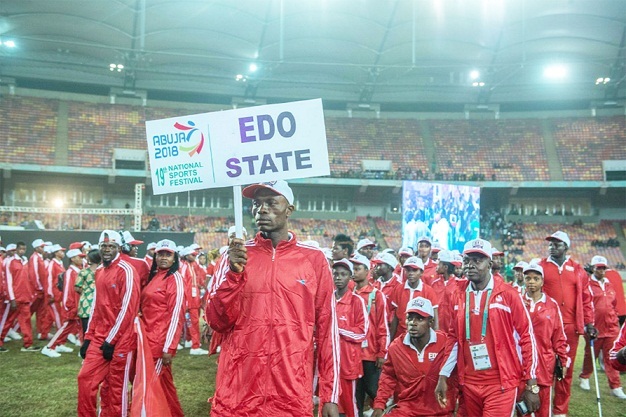 Edo State Governor, Mr Godwin Obaseki, has charged athletes representing the state in the ongoing National Sports Festival, to restore the sporting glory for which the state was known, assuring that his administration has the capacity to host the 2020 edition of the festival. “Edo State is known for producing great sportsmen and women and I charge you to ensure you do the state proud by winning medals,” he told the contingent. In his remark, the Minister of Youths and Sports, Solomon Dalung, confirmed that he has received two applications from Edo and one other state to host the festival in 2020. Dalung assured that his ministry would look at the ranking of states and assess the infrastructure in the bidding states before giving the hosting right to the most qualified state. The minister noted that sports and the National Youth Service Corps (NYSC) scheme were among the national programmes deepening the unity of the country and called for more attention to the nation’s sports sector.